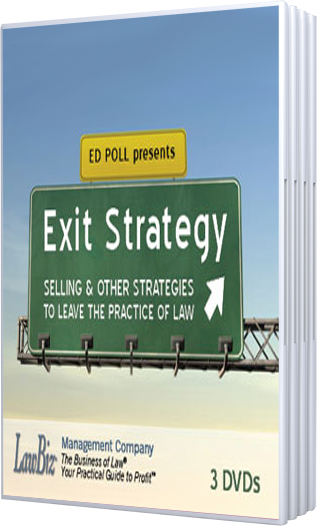 Ed reveals insider information that helps you get optimal results while transitioning out of the practice of law.Â Find out about valuation, pricing, marketing, and negotiating your sale effectively. 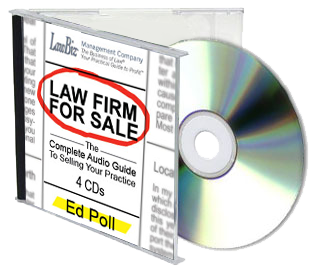 Ed even includes sample contracts and forms. 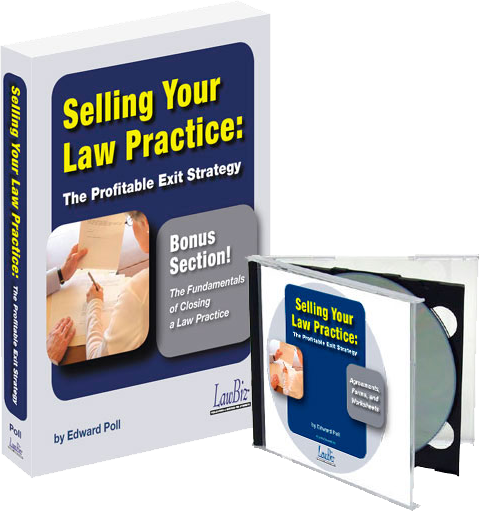 Order today to learn how to profitably sell your law practice. 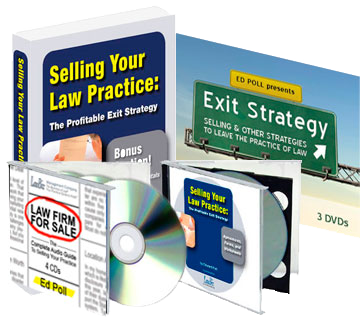 Discover how to determine the value of your practice, set your sale price, evaluate and describe your practice's unique characteristics, negotiate the sale more effectively, anticipate transition issues, Review state's Rules of Professional Conduct for selling a practice.